So says an Allison+Partners study released on Monday. It also found that more than a third of users who interact with a cause due to an influencer's recommendation are likely to volunteer. Jimmy Kimmel's heartfelt monologue about his child's heart condition resonated with consumers (Screenshot via YouTube). SAN FRANCISCO: Consumers who follow digital influencers are more likely to share information about and engage with a cause, according to Allison+Partners’ Influence Impact Report, released on Monday. Of users who follow digital influencers, 35% engaged with a cause due to an influencer’s recommendation and 31% were open to the idea of doing so due to an influencer’s vouching, according to the report. "When I first saw 35%, it looked low," said Scott Pansky, cofounder and head of the social impact practice at Allison+Partners. "But 51% of those people actually made financial donations." Of the 35% who engaged with a cause due to an influencer’s recommendation, more than half (52%) shared information about the issue, and 37% volunteered for the organization. The study also found that 43% of those who follow social media influencers go out and do something for a cause, such as donate or volunteer, at least once a month. That number drops to 26% for those who do not follow influencers. "This shows that influencers are reaching an audience who are open to doing things for a cause," said Katie Malark, senior director of research at Allison+Partners. Consumers also want to know about an influencer’s personal connection to a cause. The more that the influencer is engaged with an issue, the more it resonates with his or her followers. Influencers should not be "regurgitating" what a brand is asking them to do, Pansky added. For instance, in 2014, Anthony Carbajal, a photographer in Southern California, uploaded a video of himself taking part in the Ice Bucket Challenge to YouTube, sharing his recent diagnosis with ALS and how his mother and grandmother also had the disease. His organic video was picked up by Upworthy.com and other media outlets, garnering more than 20 million views and helping to raise $4 million for the ALS Therapy Development Institute’s Precision Medicine Program. "Thanks to the money [Carbajal] raised, they put 300 people into the program, when they were only expecting to put 20 people in," said Pansky. "So there was a huge ROI. That kind of authenticity really works." The report was compiled using three online studies conducted in April of 3,089 people, all over the age of 18 and based in the U.S. When asked about what inspires trust in an influencer’s recommendation, 63% said, "If the influencer personally volunteers with the organization;" 61% said, "If the influencer shares stories of others who have been helped or impacted by the charity or cause;" and 60% said, "If the influencer was personally impacted by the cause." The study also found that empathy goes a long way with consumers. 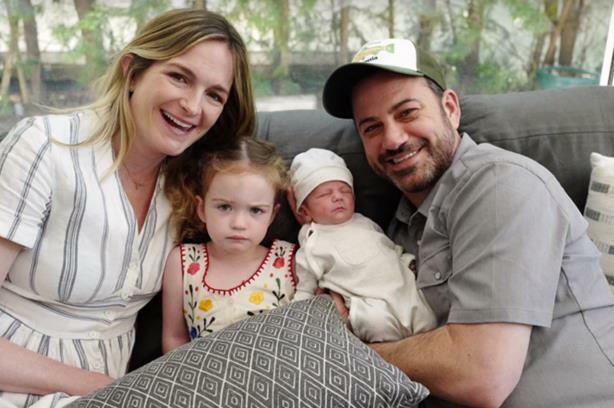 In May, Jimmy Kimmel delivered an emotional monologue about his son’s heart defect and thanked the staff at Children’s Hospital in Los Angeles for saving his baby's life. He urged viewers to give to the cause, resulting in thousands of donations from around the world, and fundraising support from other celebrities such as Ellen DeGeneres. "When we looked at those who followed digital influencers, 46% have shared info about that influencers’ content offline with their friends and family," said Malark. "So influencers aren’t only a tool to drive online traffic or awareness; they can also be a driver for word of mouth, which is such a critical channel for PR pros to get to." Finding an influencer who is already tied to a cause through donations or volunteering is not always possible, noted Malark. However, influencers sharing stories about other individuals who have been personally helped or affected can also be credible. "So even if you don’t find that influencer who has that direct tie, if you give them the right content that is authentic and genuine, it can go further to build that trust, versus plug and play generic content," she said.